London Stansted Airport is embarking on an exciting journey to introduce Airport-Collaborative Decision Making (A-CDM) processes by 1st January 2021. A-CDM is about improving operational efficiency at an airport by optimising the use of resources and improving the predictability of events during the progress of a flight. It helps airport operators integrate into Air Traffic Flow and Capacity Management (ATFCM) by achieving a common situational awareness, strengthening information sharing and improving collaboration between all airside partners such as airlines, ground handlers, airport operator, Air Traffic Control and EUROCONTROL. London Stansted Airport’s envisaged growth is significant for the London Terminal Manoeuvring Area (LTMA) and therefore to the whole European Air Traffic Management environment. A-CDM functionalities and subsequent deployment of other mature Single European Sky ATM Research (SESAR) initiatives will position London Stansted as an important European network airport. The implementation of A-CDM at Stansted Airport would result in potential improvement of on-time performance, better recovery of delays, reduced fuel waste and emissions, better runway and capacity planning, etc. The airport is mandated to deploy A-CDM as part of the Commission Implementing Regulation (EU) No 716/2014 dated of 27th June 2014 on the establishment of the Pilot Common Project (PCP) supporting the implementation of the European Air Traffic Management Master Plan. 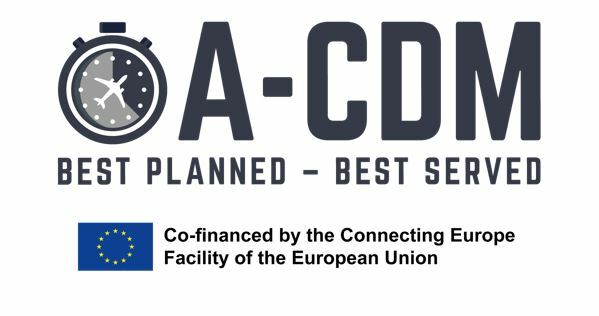 In addition, London Stansted has secured Innovation and Networks Executive Agency (INEA) funding through the Connecting Europe Facility (CEF) Transport Call 2016 to expedite the activities of A-CDM and fulfil PCP requirements (Project Reference number: 2016_041_AF2).